Wow. 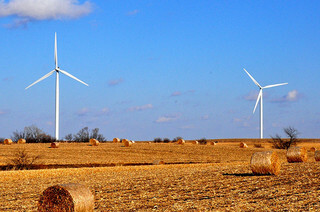 Iowa – the top state for wind – is edging close to 30%. Last year it got 27% of electricity from wind, followed by South Dakota with 26%. With 5117 megawatts (MW) installed, 1.4 million Iowan homes are supplied by clean energy, second only to Texas, with 3.3 million homes, says the American Wind Energy Association (AWEA). The state ranks #3 for wind jobs – about 7,000 direct and indirect jobs as of 2012. Siemens and TPI Composites make turbines and blades there and Trinity Structural Towers makes wind towers. Siemens recently won the largest order ever for onshore wind turbines, for a massive 1.05 GW wind farm in Iowa by Warren Buffet’s MidAmerican Energy, "the largest economic development investment in the history of the state," says Governor Branstad. Iowan’s are benefiting from lower electric bills and more than $15 million in taxes from the wind industry. According to the US Energy Information Agency, last year wind supplied 4.13% of US electricity, powering 15.5 million homes, and has the capacity to provide 6%. Also in Iowa, MidAmerican got approval to spend $550 million on energy efficiency programs through 2018, about $100 million more than its been spending. That’s expected to cut peak demand by 1.2% or 504 MW by 2018. Iowa’s other utility will spend $400 million, lowering demand by another 1.1%. Meanwhile in Colorado, utility Xcel Energy got approval to add another 450 MW of wind to its 2177 MW portfolio. Combined with another 250 MW of solar, its portfolio for renewable energy will grow by 25%. 120 MW plant to be built by Community Energy Solar – the largest project east of the Rockies. "This 170 megawatts of large solar will triple the amount we currently have on our system, and it equates to the total amount of the customer-sited solar on our system, but at about half of the cost," David Eves, CEO of Public Service Company of Colorado (Xcel’s subsidiary), told Denver Business Journal. Unfortunately he’s referring to the expense of net-metering, which the utility wants to cut drastically. The approved plan includes continuing to run one power station on natural gas instead of coal and another coal plant will be shut down this year. "Electricity generated by American wind power has more than tripled since 2008 not only due to significant growth in new wind projects but also technology innovation leading to more productive wind turbines," says Elizabeth Salerno, Vice President of Industry Data and Analysis for the AWEA. 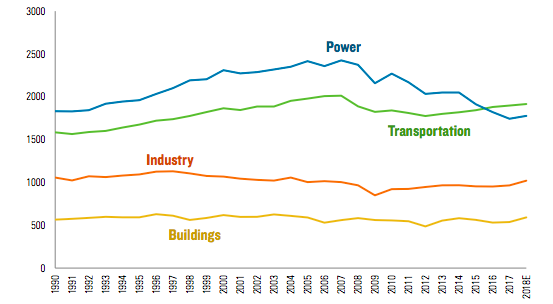 The wind energy industry started 2014 with a record 12 gigawatts of capacity under construction!